The Roland TR-707 Rhythm Composer is a programmable digital sample-based drum machine built by the Roland Corporation, beginning in 1984. The TR-707 was a staple in early house music, particularly with acid house. Because the TR-707 offers a limited number of instruments sampled at 12 bits, its sound is considered dated by modern standards. However, it is still in use because of its versatility in synchronizing with other hardware and its fully featured interface, comparable to that of high-end Roland drum machines such as the TR-808 and TR-909. 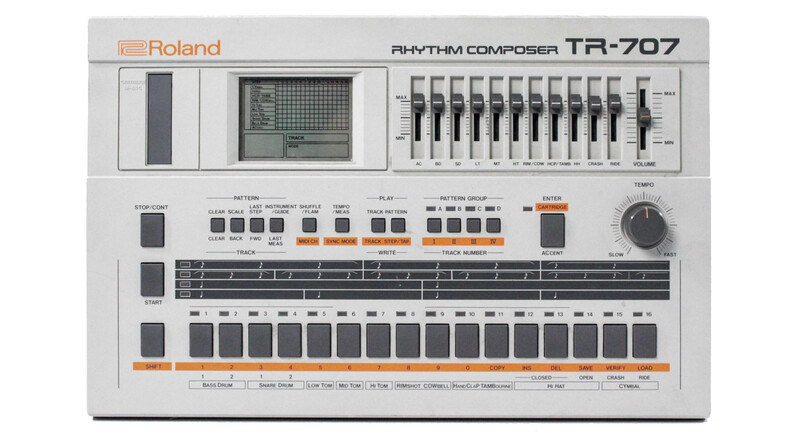 The TR-707 has fifteen digitally sampled sounds, which include two individual bass drum and snare sounds that cannot be triggered simultaneously. The instruments are labeled as Bass Drum, Snare Drum, Low Tom, Mid Tom, Hi Tom, Rimshot, Cowbell, Hand Clap, Tambourine, Hi-Hat (Closed or Open), Cymbal (Crash or Ride), as well as an additional function labeled accent, which serves to modify the volume of the other instruments. The TR-707 provides four levels of shuffle that operate globally on the rhythm, as well as flam that can be applied to any step. The device offers 64 programmable patterns, which are editable via step-write or tap-write, that can be sequenced together into any of four different tracks. Patterns and tracks can be stored on the device (providing that two AA batteries are inserted) or onto an optional memory cartridge with twice the capacity. The TR-707 is particularly sought after by users of Roland gear from the same era because it can synchronize with other hardware via both MIDI and DIN sync, although it cannot do so when controlled by other hardware. There is also an output that allows the Rimshot to trigger hardware that accepts a voltage pulse, such as the SH-101. There are individual volume sliders and output jacks for each instrument group, which is unusual for digital drum machines. 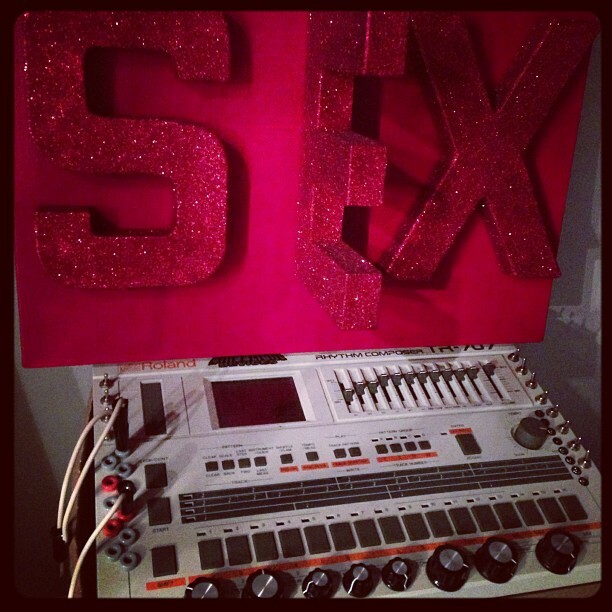 Liam has told that this machine was used to produce drums for Invaders Must Die single. He has probably used it also in many other older tracks too. Liam's original TR-707 was given away in Red Cross charity auction. Read more about it here. I really don't know what's the story behind this crazy modification but this picture was posted to The Prodigy's Instagram by Liam Howlett himself.